Travel search engine Kayak looked at flight data from last year to predict the best times to travel around Christmas this year. According to Kayak's data, you'll get the cheapest flights — both domestic and international — if you're willing to fly on Christmas eve or Christmas day. The priciest flights depart on the 22 of December and return on the 29 and 30. Kayak recommends booking four to six weeks before your departure time in order to secure the lowest ticket prices. If you're looking for cost-efficient travel this holiday season, timing is everything. 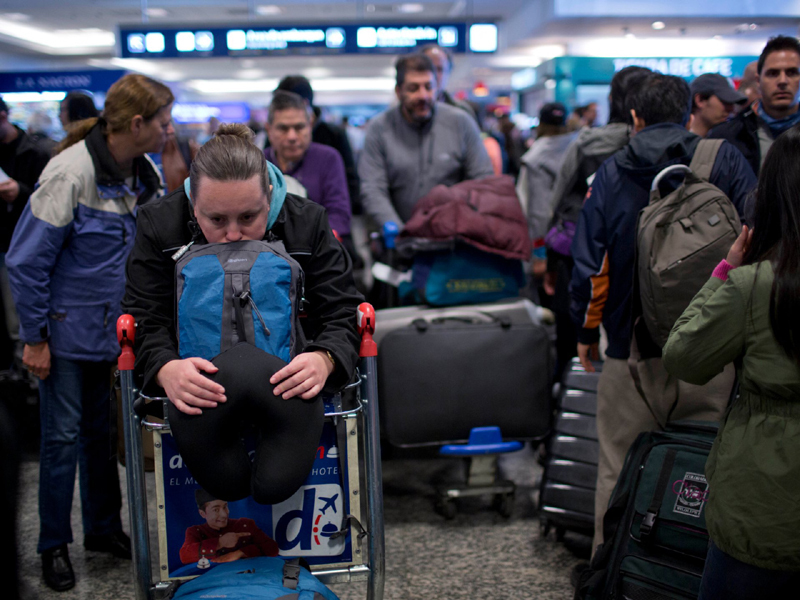 During the winter months, airports become flooded with people traveling to destinations far and wide, and December marks one of the busiest times of the year. The travel experts over at Kayak compiled data from last year's Christmas flights to help identify what days are the best and worst for travelling this year. They also looked at individual ticket prices from December 22 to 30 to determine the priciest travel days. For the full chart, click here. 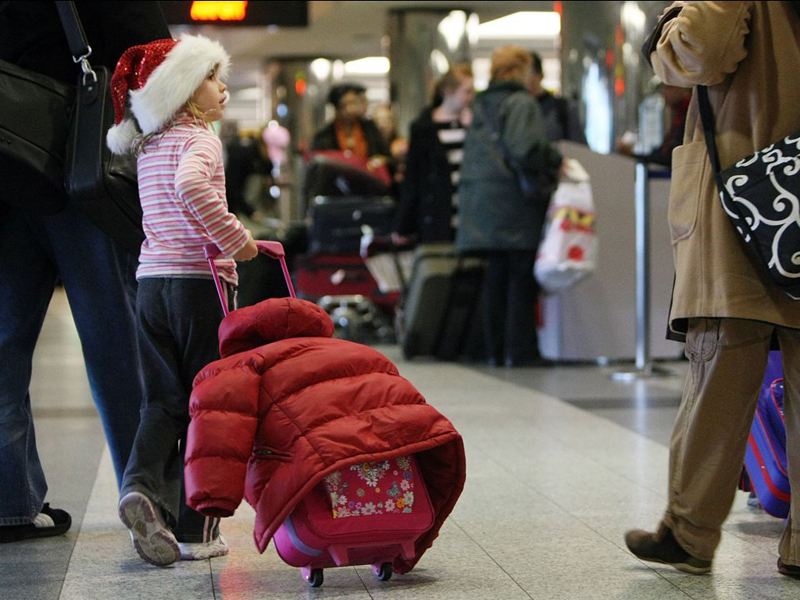 You can save the most money if you're willing to travel on Christmas eve and Christmas day. If you're flying within the US this Christmas season, your cheapest option is to depart on Christmas day and return on the 27: the cheapest round-trips during these dates average out to $290. Flying out on Christmas eve and returning on the 26 ups costs by around $10. Flying back on the 28 is another good option, and if you depart on Christmas day, you can grab tickets just below $300. A raise in ticket prices to fly internationally is expected, but you can cut costs in half by flying on the holidays. If you're trotting the globe this year, your cheapest bet is to depart on Christmas eve and return on the 27 for an average of $456. Returning on the 28 will cost around $20 more. If you don't want to fly on the holidays, you can score a good deal the closer you cut it. Domestic tickets hover around $360 if you fly out the day before Christmas eve and fly home the day after Christmas day, which is less than a $100 difference between flying on the actual holidays. International tickets are a little steeper, but there's only an $11 difference between flying out the day before Christmas eve and the day of: $534 vs. $523, on average. A girl traveling in a Santa hat. You'll want to avoid flying out on the 22 and returning right before New Year's, though. 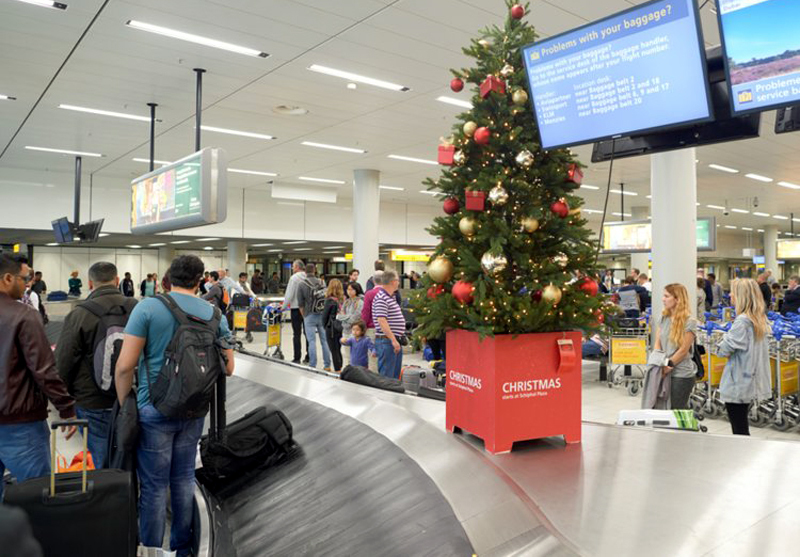 Since people generally dislike flying on or close to the holidays, the days surrounding Christmas are the most popular — and, as a result, the most expensive. The farther your flights are away from Christmas eve and day, the pricier they get. According to Kayak's data, if you fly out the 22 and return the 30, domestic tickets cost an average of about $440, which is the domestic's data's highest margin. Internationally, flight prices surpass the $1,000 mark for the same jaunt. Flying out the 22 and returning the 30 costs about $1,033, making it the most expensive option on Kayak's entire data chart. Even shortening a trip like this by a day and flying home the 29 doesn't help too much — tickets are still around $871. Kayak recommends booking holiday flights four to six weeks in advance. Ticket prices spike about a month out, Kayak says, so it's important to be ahead of the curve. The main takeaway from holiday travel is evergreen: the earlier you book flights, the happier your wallet will be.